Facial Fuzz (FS4) – use this for solos and lead lines. This sound is inspired by Lincoln Brewster. Analog Delay with Mod (FS2) – set to a quarter note delay time. Heavy modulation on the repeats. Digital Delay with Mod (FS3) – set to dotted 8th note delay. For when you want to sound like The Edge, or in other words, modern worship music. Particle Verb (FS6) – this creates a pad type sound. Use for ambient swells. Octo Verb (FS7) – this is shimmer – also use for ambient swells. ’63 Spring Reverb (FS8) – this is meant to be an always on type of reverb. It’s set pretty low and adds a bit of depth to the tone. We like to keep the graphic EQ and ’63 spring reverb on all the time. The Graphic EQ just cleans up the sound and gives you a more articulate sound, while the spring reverb gives a sense of space. The amp is set on the verge of breakup, so when you dig into it, it will break up like a good tube amp should. This is great for a rhythm tone. If you back off (either by playing lightly or by rolling your guitar’s volume back a bit) you’ll get more of a clean tone. 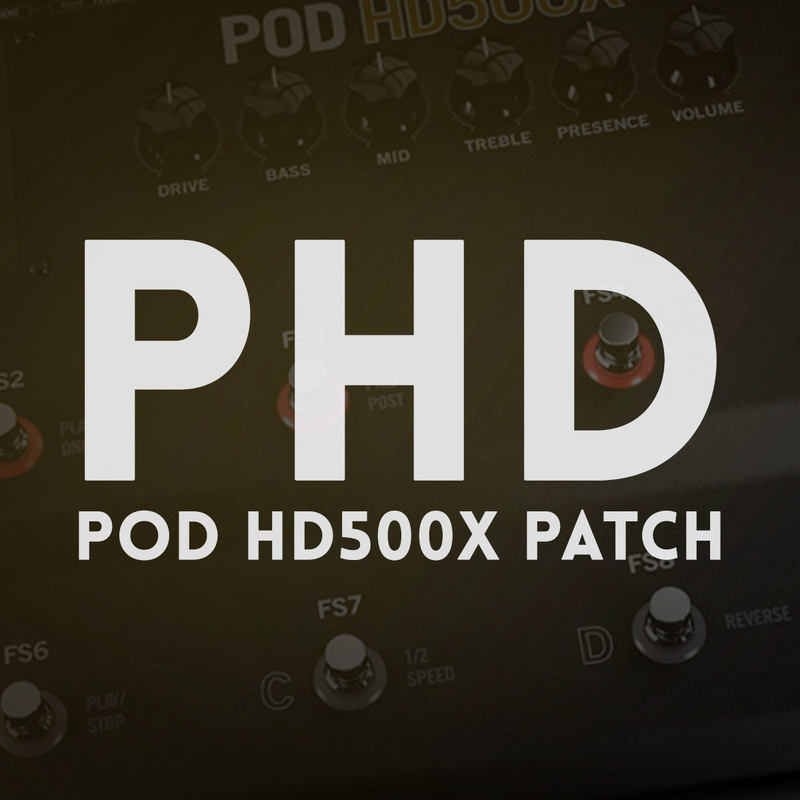 This patch works well if you vary the dynamics of your playing. The Facial Fuzz is great for leads. This would be Lincoln Brewster type solo leads. Pair it with some delay to really let it shine. If you don’t play lead lines much, this would be a good pedal to swap out for maybe another drive pedal (if you want more gain). Turn on both delays and Octo and Particle verbs for really nice ambient swells. Add the Facial Fuzz for really crazy swells. Finally, change the footswitch assignments so they fit your needs and your playing style.